We have two wheelie boats , the white fibre-glass Coulam 16ft with hydraulic central lift and electric start and the metal landing craft type with electric start motor. The Coulam boat is the most popular but not for everyone. The choice is yours. The Coulam is loaded from a jetty and the landing craft tends to be accessed from the beach. For more information contact the fishery. 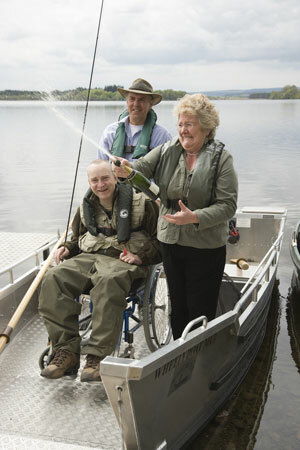 Wheely Boats are bookable by those with significant mobility issues. 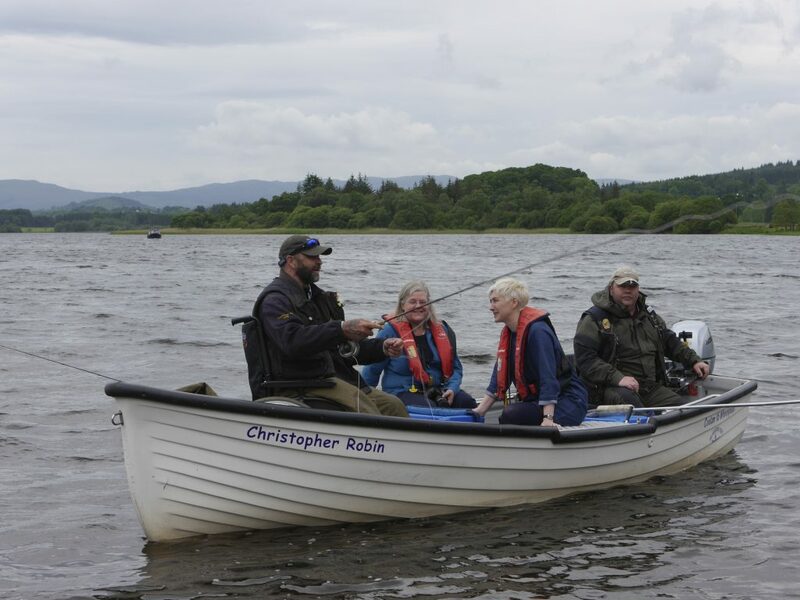 PLEASE TELEPHONE 01877 385664 or email bookingonline@menteith-fisheries.co.uk (please also be aware of our terms and conditions as last minute cancellations can usually not be refilled despite the day being in demand). If you have a last minute cancellation please text the fishery 07710 433464 and we can immediately make your boat available.